There is a wealth of information on the web dealing with bereavement support. I will list for you some of the sites and leave it up to you to check them out. Perhaps there is something here that will help you on the road to recovery. www.groww.org/chat/gr.shtml GROWW offers a grief recovery chat room that is open 24/7. They also host many types of moderated grief support chats. It is a place where peer groups teach that you have permission to grieve. It is a place of belonging and one that helps you to get through the pain so you, in turn, can help others. www.compassionatefriends.org/chat/chat_entrances.shtml The organization offers multiple bereavement support chats. These are scheduled, facilitated live chats for grieving family members with such topics as parent/grandparent bereavement, bereaved two years and under, bereaved over two yeaers, pregnancy/infant loss, sibling support and survivors of suicide. www.parentsplace.com/chat iVillage/parentsPlace has an extensive chat schedule that includes a variety of chats on parenting. 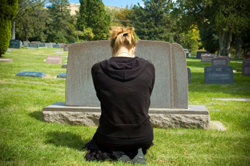 There is at least one chat for bereaved parents to help them work through their grief. GriefNet.Org (www.griefnet.org ) This is an internet community of persons dealing with grief, death and major loss. They have 37 email support groups and two web sites. They provide help to people working through loss and grief issues of all kinds. Support groups include accidents, only child, suicide, SIDS, substance abusers among others. More descriptions are on the web site. Grief Loss & Recovery (www.grieflossrecovery.com ) This site offers online grief support through an email discussion group (list serve). The group offers emotional support and friendship and provides a sage haven for bereaved persons to share their grief. LossofaChild To subscribe to this list, send an email to [email protected] . In the body of the email, type [email protected]. This list is for those families who have lost a child due to tragedy or illness. This list serves as a support group to help get through this most difficult time. Fernside Online http://www.fernside.org A non-profit, non-denominational organization serving grieving children and their families. This site encourages sharing stories, feelings, and memories with trusted friends, honoring the search for new beginnings. Hygeia http://www.hygeia.org/index11.htm Just as despair can be given..only by another human being, hope, too can be given..only be another human being. An online journal for pregnancy and neonatal loss. MISS (Mothers in Support and Sympathy) http://www.misschildren.org An organization with the mission of providing a safe haven for parents to share their grief after the death of a child. Angel Child Legacies http://www.angelchild.com This site offers parents the opportunity to celebrate the life of their child or children by submitting the child’s legacy to the site. Help with saying “just the right thing” is offered. Miscarriage Support and Informational Resources http://www.fertilityplus.org/faq/miscarriage/resources.html Support for women who have suffered a miscarriage can be found through the comprehensive list of chats, newsgroups, books and more. Virtual Memorials http://www.virtualmemorials.com They create memorials that celebrate the lives and personalities of those lost and provide a place where these cherished images and biographies will have a permanent home. Journey of Hearts: http://www.journeyofhearts.org You are invited to join the journey of recovering from losses and significant life changes – a process that does not occur overnight. Journey of Hearts was designed to be a Healing Place with resources and support to help those in the grief process following a loss or a significant life change. This site offers something for anyone bereaved. The Grief Warehouse http://www.griefwarehouse.org Designed for parents who are coping with the death of their child. The goal is to be a warehouse of information and personal experiences…a place where you can come, gather ideas, and share what worked for you on your journey of grief. Angels of Addiction http://www.angelsofaddiction.com They offer support and help to the addict, and support for bereaved families and friends. If you have any questions, please feel free to contact me but otherwise use our website as a resource for those that are hurting.